A sweet and simple keepsake for your Mum, Dad or Grandparents. 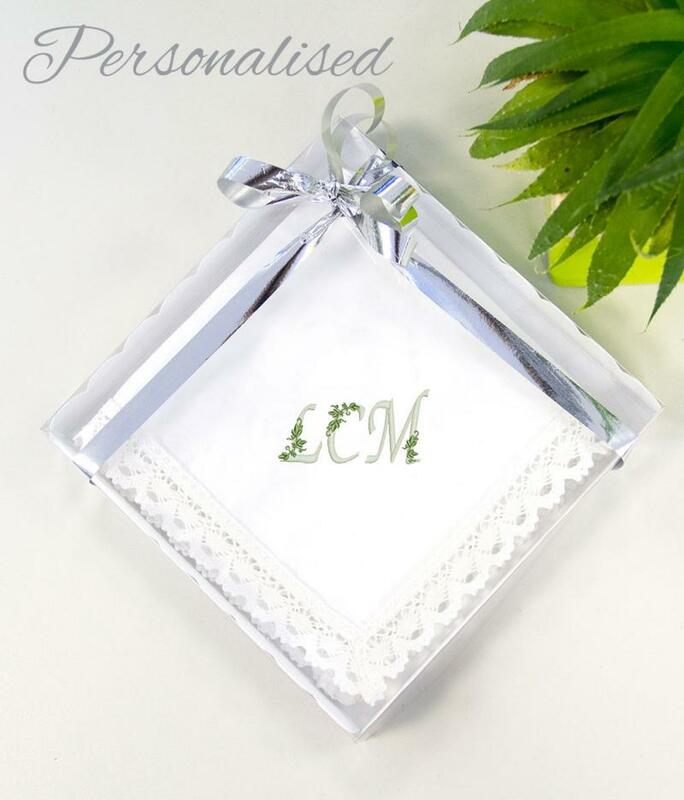 Personalised in a subtle and classic style. 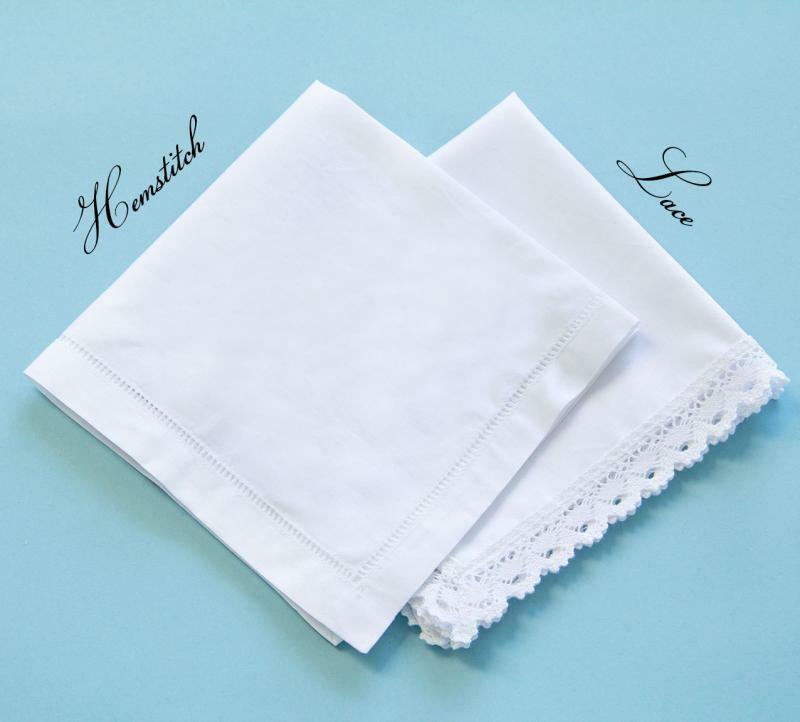 White handkerchief (30 x 30 cm) with lace or hemstitch edge embroidered with 'Ivy Leaf Initials' of your choice.